The second day of the Third Asia Ministerial Conference on Tiger Conservation discussed a wide range of issues. The topics included ranged from a high-profile panel discussion on the Global Snow Leopard and Ecosystem Protection Program to the report on the status of the Global Tiger Recovery Program and its implementation in various countries as well as future plans. While tigers, the conservation of big cats and habitat management were the key focal points of the conference, the second day of the event also drew attention to the snow leopard. The main point was the Snow Leopard Summit to be held in the summer of 2017. The Director General of the Department of Forests and Park Services, Chencho Norbu, offered to host the 2017 Snow Leopard Summit in Bhutan. The snow leopard, also known as “the phantom of the mountains” is a highly elusive creature. As brought out in the conference, the global count of snow leopards varies from 3,500 to 7,000 animals. According to Koustubh Sharma, a senior regional ecologist at global non-profit Snow Leopard Trust, threats to snow leopards and the possible ways of mitigation are known. “While the traditional threats included unsustainable livestock grazing, biomass extraction, retaliatory killing of predators, poaching for wild meat and trafficking, the scenario has changed. The snow leopard now faces the emerging threats of poorly planned infrastructure and development, influx of migrant labourers, garbage accumulation, and most importantly, climate change,” he said. “Unlike the forest habitats which can still be regenerated, mining and other development activities carried out in the mountains (the original habitat of the snow leopard) leaves an indelible mark on the ecosystem and the habitat cannot be regenerated,” Sharma added. On the Global Tiger Recovery Program, the tiger range countries (Bhutan, Bangladesh, India, Indonesia and Cambodia) presented their reports. Speaking of the first-ever tiger census conducted using camera traps in 2014-2015, Md Yunus Ali, the chief conservator of forests, Bangladesh, spoke about technical assistance from the Wildlife Institute of India. “Whereas in 1950, we had tigers in 18 districts, including the forests of Dinajpur, Tangail-Mymensingh, Sylhet and the Chittagong hill tract area, the big cat is now confined only to the Sundarbans. The Sundarbans has about 83-128 tigers (106 on an average) according to the camera trapping census in 2015,” he said. 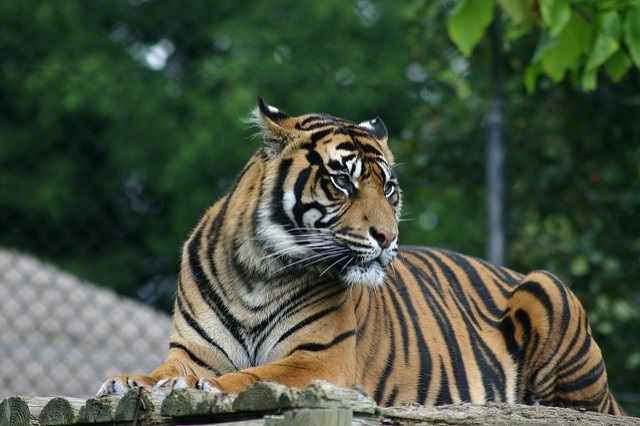 Bangladesh has pledged to stabilise and marginally increase the current tiger population by reducing key threats to tigers and their habitats. “By 2022, we are striving to achieve a demographically-stable tiger population that is close to the carrying capacity in the Bangladesh Sundarbans eco-system,” he added. The session also dealt with Cambodia’s plan to reintroduce tigers. “There have been no viable breeding populations of tigers in Cambodia. The last confirmed records of tigers date back to 2007 when we captured images on camera traps, and then in 2010, when pugmarks were sighted. However, we have the best ungulate prey base in south-east Asia and an extensive forest cover for us to be confident of the plan to reintroduce tigers,” said Suwanna Gauntlett, the chief executive officer of the Cambodia-based non-profit Wildlife Alliance. He also emphasised on the country’s efforts in controlling wildlife crime and poaching. “We have a full-time law enforcement unit dedicated to countering illegal wildlife trade and a 24X7 hotline to report on wildlife crimes. As of 2015, we have eight cases on trial in the court of law and confiscated 2,915 live animals, 4,165 dead animals and 1,969 kg of bush meat. We have a rehabilitation programme for the live animals and the confiscated animals are sent to the Open Zoo of Phnom TaMao Wildlife Rescue Center,” he added. By 2026, the country wants restore and conserve the core zone in the first priority site of the Mondulkiri Protected Forest as an inviolate tiger recovery site. The conference also witnessed the discussion of important issues related to protected areas and tiger reserves as engines of growth. The panelists were from a diverse background. Stressing on the importance of involving business in forest management, Alwyn Didar Singh of the Federation of Indian Chambers of Commerce and Industry, one of the panel members, asked why tiger conservation was not being given as much importance as climate change. “Let us make it a part of the business machinery rather than a corporate social responsibility. The industry bodies need to come together and invest in tiger conservation and this should be mandated. The investment cannot be without returns and we need to arrive on the same page as that,” he said. Raghav Chandra of the National Highways Authority of India spoke of forming guidelines for infrastructure creation in wildlife corridors and said that he looked forward to closely working with forest officials on the issue of mitigation of conflicts due to highways. The conference ended with discussion on resource mobilisation for conservation in which various financing organisations, including the United Nations Development Programme, Global Environment Facility, the United States Agency for International Development and the World Bank agreed that money should be diverted at the grassroots level for sustained conservation efforts.